Save up to 60% Off select styles at Columbia with code COL2FEB60 at checkout out! 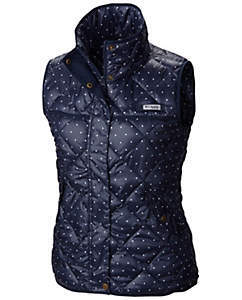 Dressed in a flattering drop waist and a classic diamond quilt, this feminine, preppy-meets-sporty take on the fishing vest keeps your core warm, as well as protected from light rain and stains. Ends 2/27. or while supplies last. Shipping is FREE for Greater Rewards members (sign up is free).